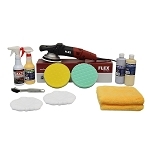 Many detailers and car enthusiasts alike have eliminated their rotary buffers and are using the Flex DA XC3401VGR for paint correction and micro swirl removal. 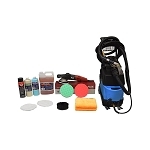 It used to be that you almost always had to use a rotary high speed buffer to remove paint scratches, swirls, oxidation and other imperfection within the clear coat. 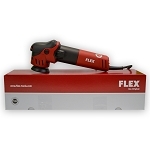 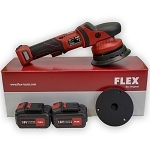 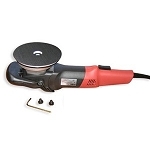 The Flex Polishers use a forced circular pad rotation coupled with a long throw of the oscillations giving them considerably more cutting power than the typical dual action polisher. 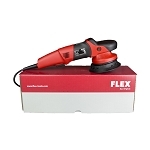 In fact, the Flex DA will do 90% of what a pure rotary polisher can do with the safety of the random oscillations to prevent swirls. 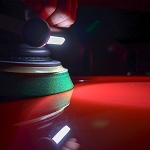 This is a real break thru! 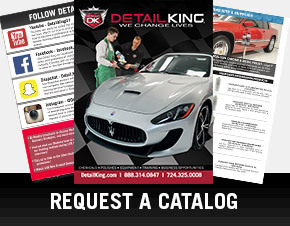 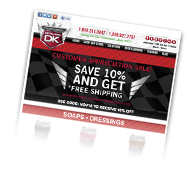 Detail King has assembled some great money saving Flex DA Kits that include our famous DK polish line-up and Lake Country foam pads. 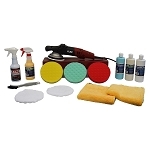 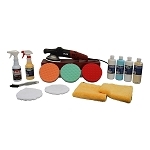 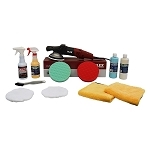 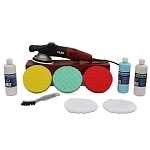 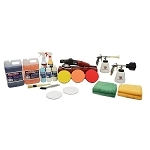 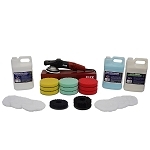 Be sure to check out these Flex DA Polisher Kits: Swirl & Oxidation Remover Polisher Kit, Time Saver Polisher Kit, Correct & Protect Polisher Kit and our Business Man Polisher Kit just to name a few. 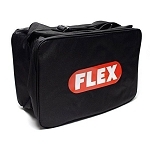 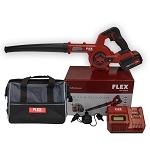 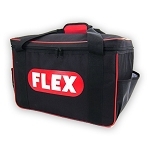 We have many more Flex DA money saving value kits!